Locomotive Vertical Extension handrail - Blue Steel Co., Inc.
Safety Handrails for locomotive running board use. 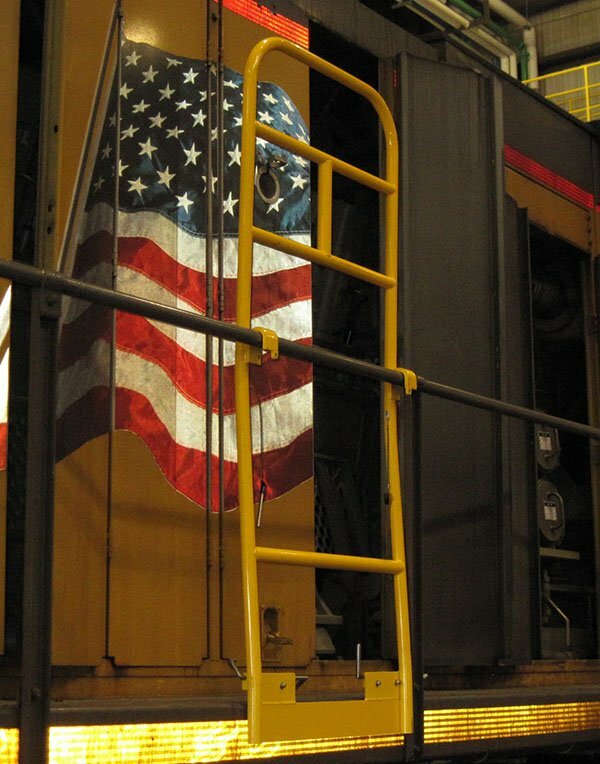 Safety handrails can be used on GE Locomotives, EMD locomotives, GenSet, and others. 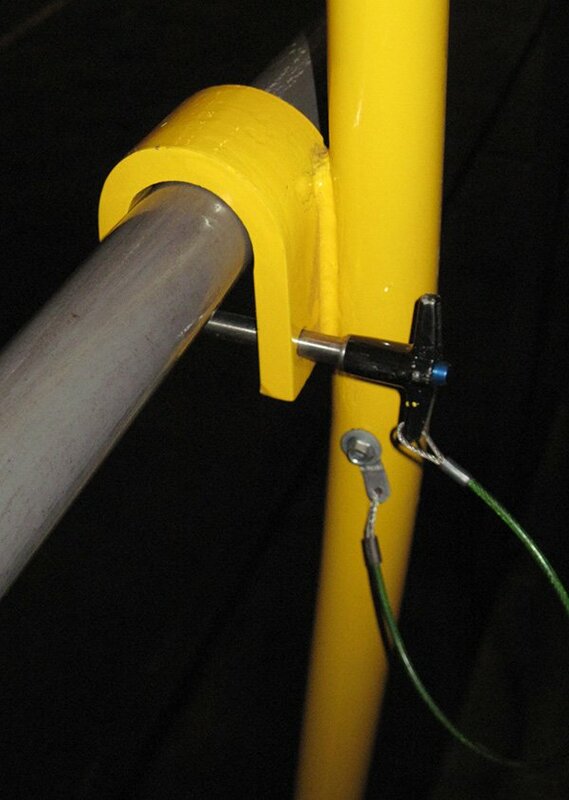 36″ above existing locomotive handrail x 30″ wide, 2 stanchion clamps, 2 detent pins. 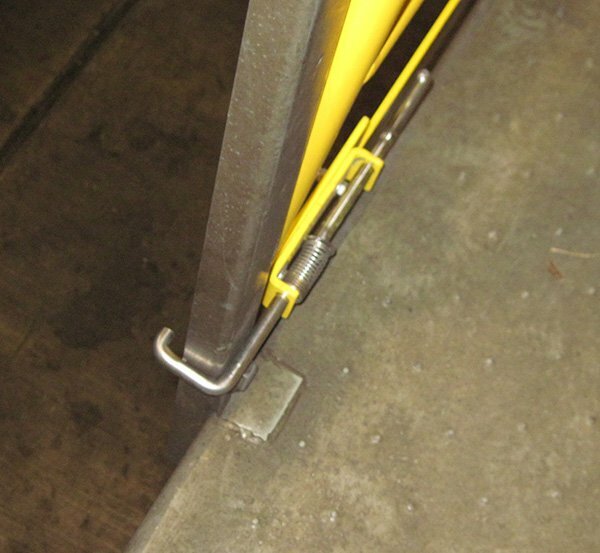 This additional Locomotive Handrail is designed to hang on the inside of locomotive handrail. When using any stand or ladder on the locomotive running board it may expose the worker to a fall risk. Looking for our Locomotive Running board handrail? Check Here. Contact Blue Steel to Order.